Since Starbucks’ are sold in Target, does PSL count as a drugstore essential? Between major fall-themed launches from high-end brands left and right, it’s easy to get swept up in the allure and spend a ton of money on anything and everything but there are some fall favorites that you can get from the drugstore (or Ulta) that are under $10. Here are my 3 fall essentials from the drugstore. I’ve already voiced my excitement for the glossy lip and even better is the lacquer lip. High end brands have launched lacquers that I enjoy, but this one takes the cake. 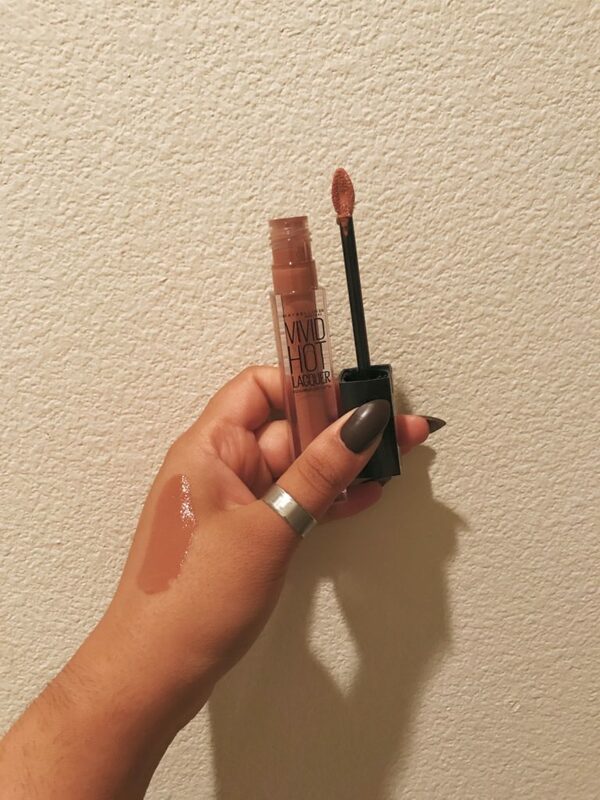 I’m not sure if it’s the shade, the formula or the nice big doe-foot applicator, but I think it’s a combination of all three which makes me love this product so much. Writing this post, I’m actually reminded that I need to get to Ulta and purchase more shades. I currently have Unreal and it’s my go to product for natural looks or a look where I have a lot going on with the face and need a soft but comfortable lip. 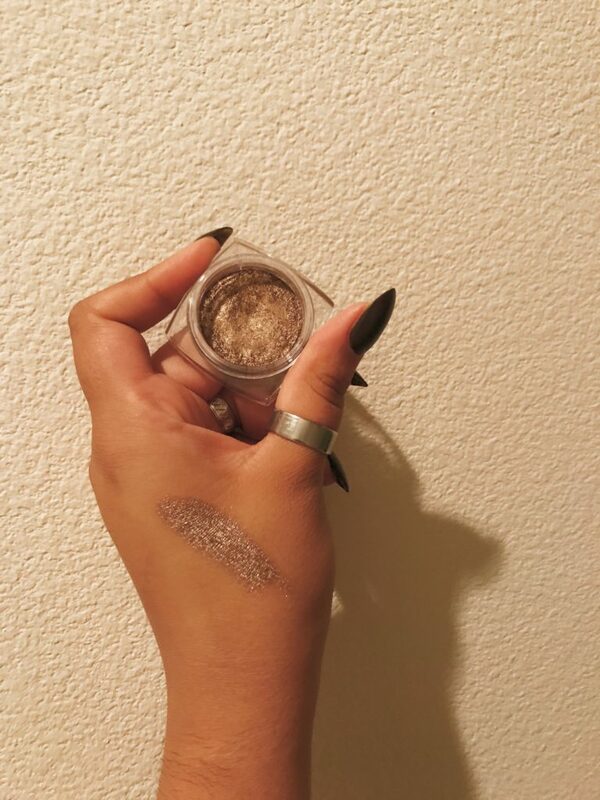 I love this color all over the lid for a warm taupe that looks amazing paired with any lip – and since fall is my favorite time to play with fun lipstick colors this shadow lets my eyes stand out but not take all the attention. Although I can’t say if it is 24 hour wear or not, this eyeshadow stays true to color all day and stays on like a high-end shadow. I want to do a Makeup Revolution collection post since so many of the products I’ve tried from this brand are absolute winners. I know this one looks awfully scary at first with how red-toned and coppery this product is. But, believe me, it makes you look like you just stepped off a plane from the most exotic of destinations. 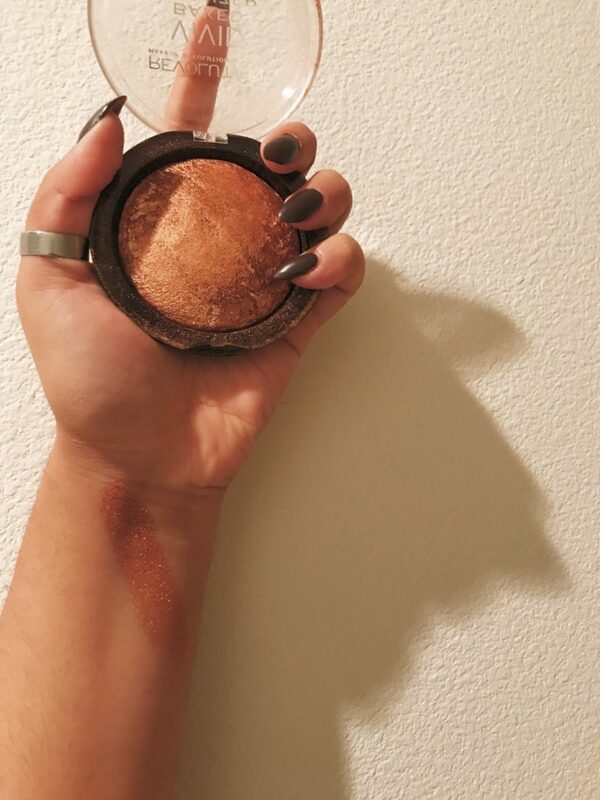 It is the warm-toned bronzer for the season of warm tones and while we will soon be seeing less and less of the sun, a light (emphasis on the light) swirl of this bronzer will make you look like a naturally bronzed goddess. Plus, it doubles as a gorgeous eyeshadow. In the first image, I am wearing this product on my lids and as a bronzer. These three products will remain in my rotation for the next couple months not just because of how affordable they are but because the products are actually great. Awesome! Can’t wait to try them all! Thanks as always!